Killer Characters: Thankful for Romance? Thanksgiving is one of the nation's most beloved holidays. That holds true in Sugar Grove, NH and certainly at my family's home. Grandma puts all of us to work over the two weeks prior to the big day. By the time the events rolls around the house couldn't smell more delicious or hold another morsel of food. The pies alone reduce grown men to tears of joy and gratitude. Nothing makes folks thankful like Grandma's pies, you can count on it. What I hadn't counted on was my family using the holiday as an excuse for matchmaking. Between my sister Celadon coming up with place cards in order to seat an eligible bachelor next to me or Grandma having another one ply me with one of my favorite foods, stuffed mushrooms, it was hard to keep my mind on the main event. I managed though because there is nothing that gets between me and my Thanksgiving dinner. Maple cranberry sauce, yeasted pumpkin rolls and mashed potatoes so fluffy you're surprised they don't float up off your plate tends to drive all thoughts of romance right out of your head. Romantic or otherwise, I hope your Thanksgiving is as much fun as ours. And if you don't have plans, stop on by; we always have room at the table for one more! The pies! It's hard to remember to save room for them, though, and then I want to try every kind. It's got to be the stuffing. Wow this all sounds delicious! I wish your tradition of having pie for dinner would come to Holland like so many others. Pie is only eaten on special occasions like birthdays and anniversaries, and then at coffee time. 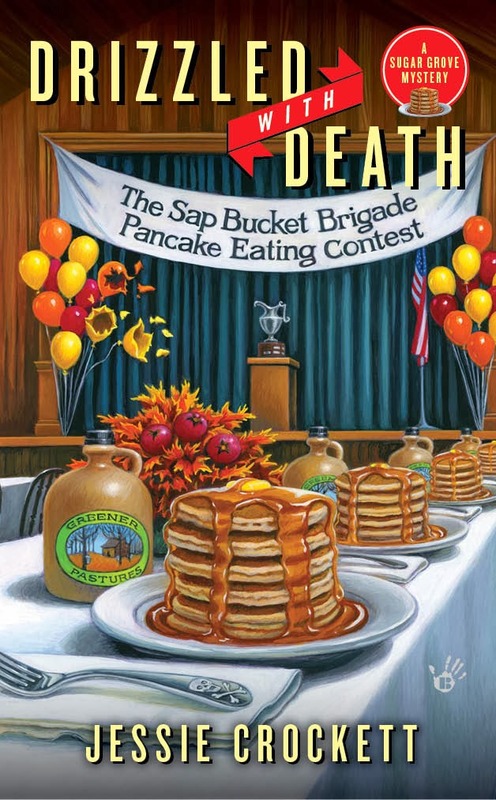 I'm reading Drizzled to Death now. Great book and I love the escaped animal escapades intertwined with the mystery! As for my favorite holiday food: I'm Czech and one of our side dishes is potato dumplings with gravy. My daughters both want me to make these when we get together for holidays, though mine never turn out as well as my Mother and Aunt's.